There is no doubt that for visitors coming from the UK and other northern European countries Malta presents a true kaleidoscope of colour in all seasons, an overwhelming barrage on the visionary senses if one may say so. If your trip to the islands starts with an Air Malta flight you will get a taste of this immediately. 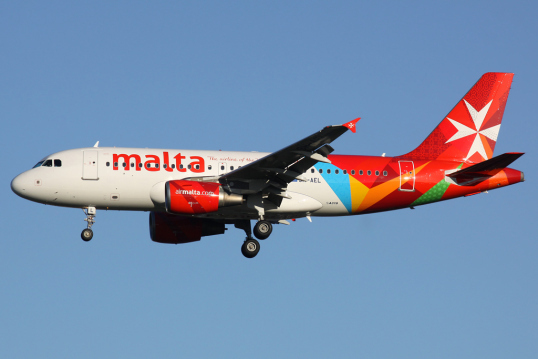 The Air Malta livery is surely one of the boldest and most colourful designs to grace Europe’s major airports, a fresh makeover resulting from the airline’s ongoing restructuring. As soon as you land in Malta (unless you land at night that is) you will no doubt note the light, plenty of natural light, and the plentiful sunshine which brightens up everywhere really. Then there are the buildings – the older ones especially – constructed of one of the islands’ few natural resources, the lovely honey-coloured Maltese limestone, still quarried to this day in some places. This stone has served the islanders from time immemorial; ancient temples, the Knights’ foremost architectural achievements, churches and most houses are built of the dependable and highly workable ‘franka’ as the locals call it. As if the stone’s rich hues weren’t enough, the Maltese paint the doors and wooden balconies of the traditional townhouses in a variety of colours; blues and greens, yellows, sometimes red too. For most of the year, from October to early June, the countryside is ablaze with colour and even now in June, when nature is about to enter its summer slumber, large expanses of thyme-covered rocky areas go into a last flurry of purple before bowing out to the merciless heat. Comino in particular has large expanses of thyme – contrasting beautifully with its lucidly aquamarine sea at the Blue Lagoon. The colour moves into the towns once the countryside is mostly drained of it as village after village celebrates its festa in style…amid plenty of colours of course! There are the fabulous street decorations that grace the boisterous band marches, the banks of flags flying over the villages, and of course the colourful eruptions of the fireworks that brighten the night-time sky. Then of course there are the churches, bedecked in their rich red damask for this annual community celebration. The sky is invariably blue at this time – and soon it will be difficult to spot even a single cloud on the horizon. Then of course there is the clear blue sea, now certainly warm enough for the first dip. There’s a wealth of bathing places of course as one would expect along a coastline all of 250km long: from the popular sandy beaches to less frequented, but possibly even lovelier, rocky coves hidden here and there. And one cannot mention the sea without recalling the beautifully unique Maltese luzzu and dghajsa – respectively the age old fishing and ferrying boats of the Maltese harbours – which obviously add another splash of colour to harbours already awash with colour. 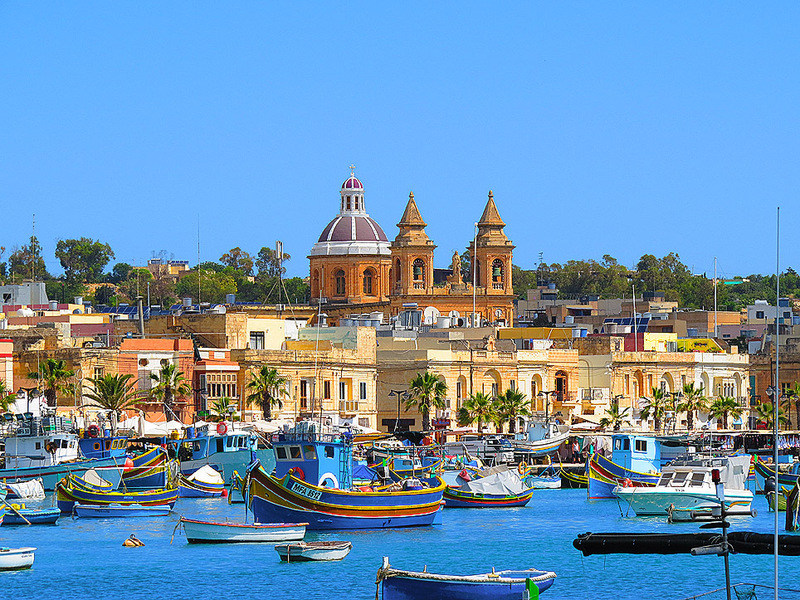 Welcome to Malta – savour the colourful life!